Protect your motor, filter the air moving thru your crankcase. 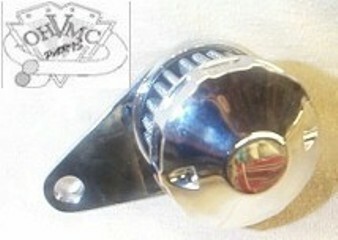 Faceted crankcase breather assembly with chrome mounting bracket. Comes complete with a one-piece filter molded to a lightweight decorative end cap, a chrome zinc die-cast mounting base with inlet and a hose clamp. The hose clamp holds the filter to the base when the vent hose is installed.